Reports suggest that Ivan Gazidis will leave Arsenal for AC Milan to become the Italian club’s new CEO (via Football.London). We’ve been reporting it for several weeks and it now seems likely that one of the most surprising Arsenal transfers of the summer will come off. 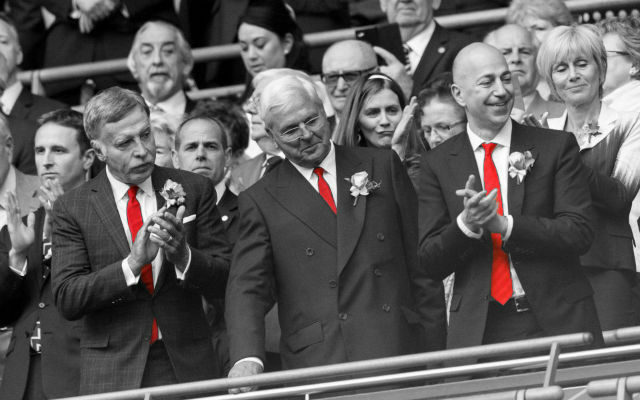 It’s rare to see a chief executive swap one club for another but that is exactly what could soon happen as Arsenal’s Ivan Gazidis reportedly prepares to leave the club. The South African-born businessman has been at the Emirates for a decade and has overseen the transition from Arsene Wenger’s time as manager of the Gunners. That has been successful thus far and it has seemingly attracted the interest of AC Milan with growing speculation about his future. Now, Football.London‘s Charles Watts has been asked about the potential transfer and had this to say. “As it stands, I think he goes. If he was going to stay, I think he would have killed this off a while ago. I think it will unsettle the club just at a time when it needs stability. I’m so surprised he is even entraining the idea, given he now has control at Arsenal. “It’s really disappointing on his part. But at least he has brought in some very skilled operators in the past 12 months who will have steady things if he does go. It’s a strange transfer but it seems as if Ivan Gazidis will soon leave the club for AC Milan. Any Gunners fans would have been glad to see this news just a few years ago but Gazidis has been credited with some really good work in recent months.